How can I factory reset my Android Mini 7100 Phone? I'm unable to go to recovery mode to factory reset (wipe my cache/data) my Android Mini 7100 Phone (Android GingerBread 2.3.x) because I forgot my phone lock combination. When I press Home + Power, it goes to 'Test' mode. I checked out this YouTube video but it did not work for me. How do I go to recovery mode? I think the easiest (and non-sketchiest) solution for this will be to help your sister recover her Gmail password. 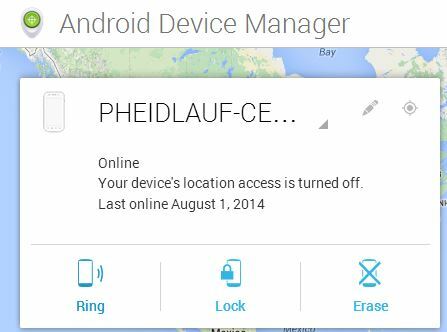 Once you have that, you can use the Android Device Manager to reset the phone password, or erase the phone memory from the computer. This is the only solution I will post here because resetting an android without access to a gmail account is often done with less-than-ideal intentions. Select and choose "Wipe data and factory reset"
Scroll to "YES" Use volume down button to choose. Wait till data wipe is complete. Now, select "Reboot system now"
Did you try ADB?, there may be a chance your device can be recognized by adb although its locked. Not the answer you're looking for? Browse other questions tagged recovery-mode factory-reset hard-reset or ask your own question. How can I fully factory reset an Optimus 2X P990 with ClockWorkMod? Is it possible to change the button combination for recovery/download mode? How can I successfully reset my tablet in Factory Mode?